Ryan Thomas (AKA Ryan Farmer) is a young singer-songwriter hailing from Nottingham, UK. His combination of blues, country and folk have marked him as one of the Midlands rising stars with influences from Robert Johnson, Seasick Steve and Johnny Cash. 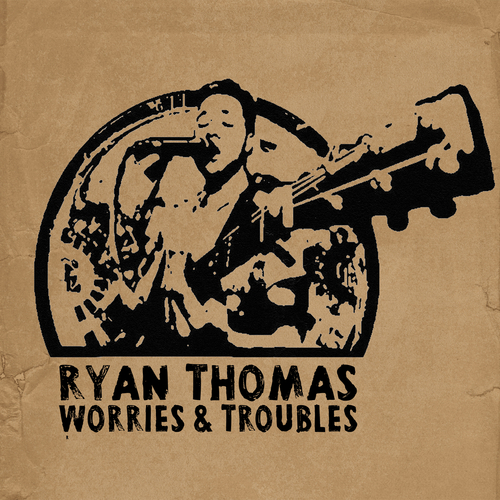 Having signed to Wire & Wool Records (I’m Not From London's sister label), Ryan’s first record ‘Worries & Troubles’ debuted at No.1 on the iTunes Blues Chart. 2013 saw regular BBC Introducing airplay for Ryan as well as slots at some of the Midlands most prestigious venues working with major promoters in venues such as Rescue Rooms and Glee Club Nottingham supporting international bands. Ryan is also booked to play Splendour 2014, Dot To Dot and C-Fab Music Festival this summer.